Do you have that feeling that you’re not the version of you that you want to be? Are you wondering why you don’t have the energy, positivity, and confidence that you crave? And imagine having a healthcare provider who understands what you want—and how to get you there. Who treats you like an individual and works hard to get to the root of your problems. Not someone who offers quick “fixes” like risky medications, invasive procedures, and Band-aid approaches that sometimes even make the problem worse. At Genesis Anti-Aging and Regenerative Medicine, we’ve seen countless clients who are at the end of their ropes—who have tried everything and just can’t find anyone willing or able to get them the results they know are possible. Many have all but given up before finding Genesis Anti-Aging and Regenerative Medicine. We take pride in helping our clients feel hopeful again. And we’d love to do that for you, too. If you’re ready to regain the energy, vitality, and positivity that makes you who you are, contact us today to schedule a no-risk, 100% confidential consultation. We are committed to providing a different kind of healthcare. We get to know all our clients as individuals, and we work hard to understand their goals—and put those goals within reach. Craig Kilpatrick, MD, is our medical director. He’s a board-certified physician who has been in practice since 2007. After receiving his medical degree from Trinity College in Dublin, Ireland and training at St. James’s Hospital, he completed his family medicine residency at the University of New Mexico in Albuquerque. Dr. Kilpatrick has practiced the full scope of primary care (except OB) in a wide range of settings. Since starting at Genesis Anti-Aging and Regenerative Medicine, he appreciates having the time to listen to his patients and formulate a comprehensive, holistic treatment plan that helps to avoid the reflexive prescribing of pharmaceuticals. He’s deeply committed to helping his patients reach their healthcare goals. Lisa Kilpatrick, PA, is a licensed physician assistant who has been in practice for more than a decade. She received her training at the University of New Mexico School of Medicine and has assisted in hundreds of cases. She enjoys working in the fields of primary care and regenerative medicine. In her spare time she likes to run, ski, bike, and spend time with her husband and son. Oh, and she’s also a figure skating judge! Kashif Hayat, MD, received his medical degree from Taishan Medical University Shandong, China and is also a certified surgical first assistant. Kashif has vast experience in the industry of hair restoration performing hundreds of Follicular Unit Transplantation (FUT), Follicular Unit Extraction (FUE) and PRP procedures. He also a strong background in sexual and reproductive Medicine. In fact, he’s currently furthering his studies, working on a postgraduate degree degree in Sexual and Reproductive Medicine. 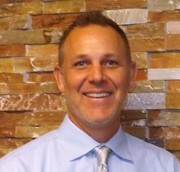 Todd Cadwell, DO, is a graduate of the University of Iowa and Palmer College of Chiropractic. He is passionate about health and human performance, and he believes that extraordinary health comes from the inside-out. His undergraduate degree in psychology, along with his doctorate of chiropractic, have assisted tremendously in his mission of educating and empowering people to design and achieve the life and health they desire—emotionally, physically, and spiritually. Dr. Cadwell has been on several chiropractic mission trips to Central America, where he personally witnessed the amazing power of the body and mind to heal without invasive drugs or surgeries. When you’re working to improve your weight and wellness, there’s no one you’d rather have on your side than nutritional health coach Shana Henson. Her compassionate coaching style comes from the fact that’s she’s been where you are. She understands the struggle with weight and health—and she believes firmly that change comes from support and positivity, not judgment or shame. As the front desk manager, Cassandra Grubbs is likely to be the first person you meet when you walk into Genesis. She brings her past experience as a personal concierge and a licensed esthetician to help clients achieve health and wellness. In her spare time, she likes to feed her artistic and crafty side. As lead medical assistant, Lupe Lopez takes pride in building meaningful relationships with Genesis clients. Originally from California, she moved to Colorado five years ago. Outside the office, she enjoys exploring the great outdoors with her daughter. Medical assistant Madi Mendoza comes to Genesis from Pima Medical Institute. Her bubbly and talkative personality makes her a favorite of coworkers and clients alike. Client liaison Rhonda Weekly got her start at Genesis just where you are—as a client! She had such success with the Body N Balance program that she wanted to help others benefit from it as well. She brings enthusiasm and compassion to her role, and she absolutely loves to help however she can—even if it’s just to be your cheerleader.